Replaced the points on the land rover with a Powerspark electronic ignigion solution and a new coil. 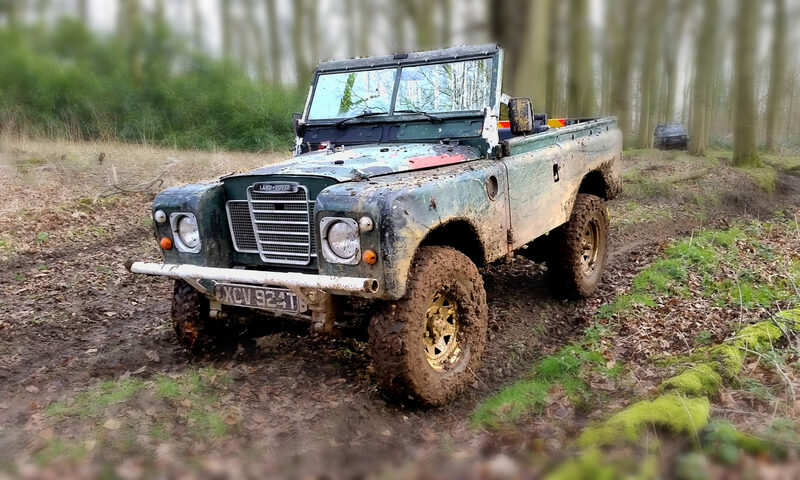 I drove the land rover to work on Monday. On the way home I got just past Sainsbury’s onto the hill down to South Hill Park, when it spluttered and ceased to run. Having spent the previous evening fixing the lying fuel and temp gauges I assumed that I had failed to fix the fuel gauge and that it had just run out of fuel. I rolled into a cul-de-sac, bumped up the curb and abandoned it. Then walked the 1/2 mile home, forlorn. Abigail had spent the day being grumpy so Hannah opted to join me in walking to Sainsbury’s with a Gerry can stashed in the bottom of the push chair. I filled it with 18 litres of petrol then walked the 200 meters to the land rover. I poured in about 2/3rd of that fuel only to find that the tank was still part full and it was now overflowing. Fuel was not the issue. I now popped the bonnet and had a good look, checked the ignition wiring and distributor as much as I could, but was not able to immediately see the issue. Having not used my AA cover so far this year I used the app to requested assistance. The app suggested that help would arrive with me by about 7pm, so to waste some time I walked home with Hannah and Abigail, we tinkered about the house, fed Abigail, then I walked back down to the land rover. The AA man dully turned up and found that the points had welded themselves shut. He freed them off, roughed up the contacts, reset the gap and off I went. I made it a few hundred yards before the same thing happened again, this time starting to go up hill, so I bumped up the curb and stopped on the pavement. I had a go at cleaning the points again, setting the gap, tried a few times, then called the AA for the second time. I kept trying the same things, but to no avail. I waited and Googled electronic ignitions for land rovers such as mine. I found that Power Spark do them. The AA eventually turned up, the gent who arrive this time was older and perhaps wiser with age. He jumped out of the van and immediately said “so your points have melted then?”, he must have had an update from the previous guy. He took a look and suggested that I had fitted the wrong coil, said he’d experienced this himself a long time ago on a Yamaha bike. He tested the resistance through the coil and found that it was 1.5ohms. It should have been about 3 or 4 ohms. He towed me home in the end. 9.30pm I walked in through the door. I love days like that, these are the days make stories.